Classic pretzels hand twisted daily served with a range of gourmet pretzel dips. 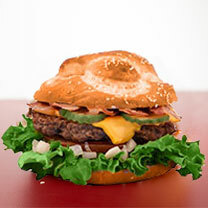 A savory burger topped with lettuce, tomato, onion, pickle, and cheese, all on a pretzel bun. 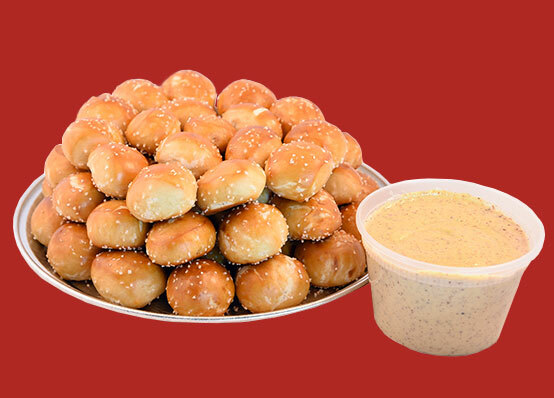 A full range of delicious sandwiches served on our unique pudgy pretzel rolls. Pretzel Stop offers unique options for lunch, dinner and a great snack! 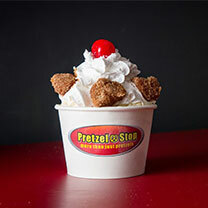 An 8 oz cup of super premium vanilla bean ice cream, topped with warm diced cinnamon sugar pretzel bites, finished with whipped cream and a cherry on top. A bacon lovers dream, we add bacon to a juicy beef burger and top it with American cheese, lettuce, tomato, onion, and pickle. 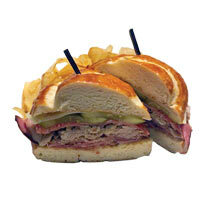 Smoked shoulder bacon, pulled pork, salami, pickles, cheese and mustard on a warm, fresh-baked pretzel roll. Our custom pretzel shapes are fresh-baked and twisted into a design of our choice. We can make many different shapes and sizes. 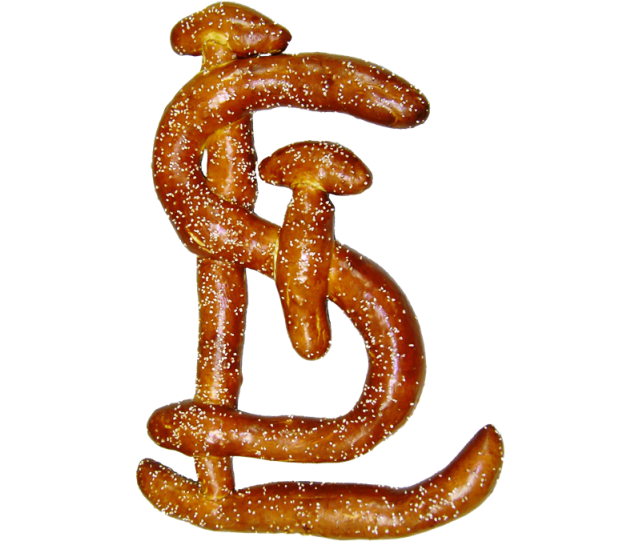 Whether for a birthday, holiday, sports party or any other special occasion, we can bake a pretzel that will make the occasion a special one! You can check out our most popular custom shapes by clicking the button below.